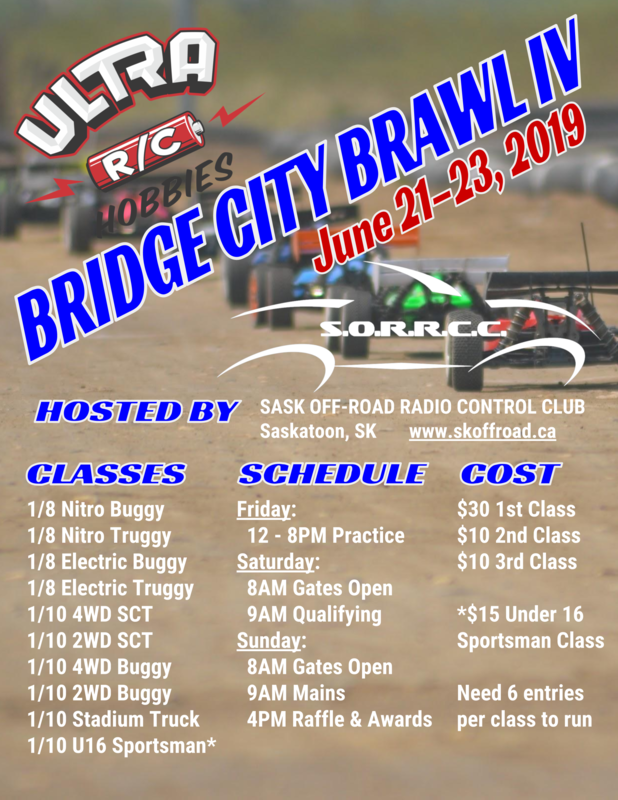 The 'Ultra R/C Hobbies' Bridge City Brawl is the largest event of the year for the Saskatoon Off-Road Radio Control Club. Visit www.skoffroad.ca for more information about the club, track and race program. Note all electric classes will have triple A mains. 3 qualifiers - 5 minutes each. 10 car mains + 2 Bumps. Triple A-Mains. This class cost $15.00 3 qualifiers - 5 minutes each. 10 car mains + 2 Bumps. Triple A-Mains.